January is always a weird month, I find. So much happens in January, or has to happen. It’s the beginning of a new year. It’s the start of many different endeavours and resolutions. School starts again for many. There’s a lot of pressure placed on January and what must be accomplished in the month. I felt a lot of that pressure this month. 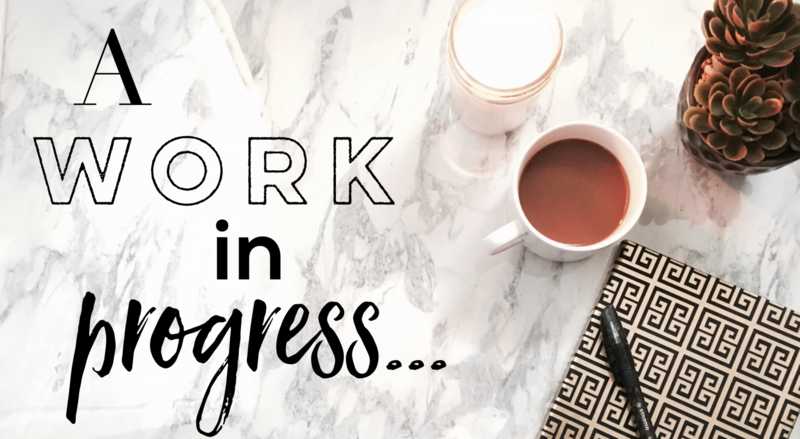 I revamped my blog, I started a bookish Instagram account (CiviilyReads), school started once again, and that’s just one half of my usual to do list. January flew by for me and left me wondering where I had spent all my time this month. January was also a month of reflection for me, especially when it came to my mental health. It’s been nearly a year since my car accident and I’m still reeling from the effects, both physical and mental, of it. It’s something that I think will probably remain with me for some time, especially the mental aspect of it since I am still in therapy for it. January was a kind of hectic, reflective month for me. I managed to only read four books this month, which is not my best record. I’m a bit disappointed in myself, to be honest. I thought I could do better, a lot better, and it just didn’t happen. I know that comparing myself to other readers and the amount of books they read is something that one shouldn’t do, but I did it and I probably shouldn’t have. All four of the books I read that month are very different from one another and encompass the range of my reading. I enjoyed reading all four of them. I started off the month reading Too Much and Not The Mood by Durga Chew-Bose. It is a debut non-fiction essay collection, and it’s a collection that I thoroughly enjoyed reading. Bose’s writing is so unique. Reading each essay is a like a dive into her brain. It’s not linear, it flies off on tangents but always circles back to the main point of the essay, and each of those points was just expertly executed. My favourite essay from the collection is “D As In”. That particular essay spoke to me, as a first-generation Canadian, and the delicate line that one walks balancing a life that is your own but carrying the history, the dreams, and the names of your family on your shoulders. I highly recommend checking out it out. The America comic series by Gabby Rivera is one of my favourite comic series that I’ve read in the past few years. America Chavez is one of the most powerful superheroes in the Marvel comics universe. She is also a Latina and an openly lesbian character. America and this series are so unique in superhero comics publishing, and I was really disappointed when I heard that it was being cancelled. I’m disappointed in Marvel Comics as a whole. They’ve made a lot of bad decisions the last couple of years and continue to do so, in my opinion. That being said I savoured reading these last few issues of America and her journey in this series. It’s a beautiful journey of watching this young woman find herself and her place in the world. It’s fantastic, and I totally recommend checking it out. From one superhero to another, I jumped into Not Your Sidekick by C.B. Lee. All Jess Tran wants to be is a superhero like her parents and older sister. After a near-apocalyptic event almost 100 years ago that changed completely changed the dynamics and borders on Earth, many individuals were left were powers, ranging in class, strength, and usage, and became Earth’s superheroes. To Jess’ disappointment, her powers haven’t manifested, and that’s where her story begins at the start of this novel. I really enjoyed this novel. Watching Jess navigate her way through the world, her family and friend dynamics, falling in love, and finding out that being a superhero may not be all that it is cracked up to be was fantastic. I loved this novel and how inclusive and intersectional it was. Jess being a lesbian is just part of her story, Jess being a Vietnamese-American is just part of her story, and all these different parts of her make up her whole story, and it was just refreshing and amazing to read. I’ve already got my eye on the second novel in this series, Not Your Villain. This book is definitely worth a read if you’re looking for more diverse and inclusive superhero story. The last book that I finished in January was a poetry collection. There Are More Beautiful Things Than Beyoncé by Morgan Parker is a short collection of poems speaking about what it is to be a Black woman in America, and each and every poem is sharp, beautifully articulated, and true. It was a great poetry collection to start the year off with. What were your favourite books that you read in January? Any recommendations? What does your TBR look like for February? Sound off below in the comments or hit me up on Instagram.